When planning your wedding, it could be argued that nothing is more important than the decorations. And of the decorations you will have, which rules over all the others? The flowers of course! The right flowers don't just illustrate your wedding colors accurately, they take the fairy-tale vision in your mind and make it a reality. Having the right flowers results in having the right look and setting the right mood. And as always, getting the right flowers means getting the right florist. If you are in the Lancaster, New Hampshire area, that florist is Riff Flower Shop! Riff Flower Shop is a local florist that takes special care to ensure all the on-site decorations, as well as each bouquet and boutonniere, match your individual style and budget. Whether you want something timeless and traditional, sleek and contemporary or somewhere in between, they can make it happen at a price you can afford. How? Because they take the time to meet with you and plan out exactly what you want! They will design the wedding with whatever level of input you feel comfortable providing. Whether you have every detail meticulously planned or just have some general concepts, they will work with you to get the best result! Riff offers more than just flowers. 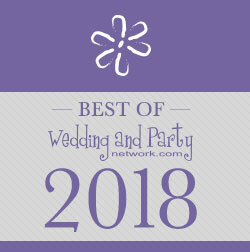 They have ceremony decorations, embellishments for the bouquets and boutonnieres, arches and more. They also bring many years of experience and the one thing you can't teach, talent. This flower shop understands that the last thing you want to worry about on your wedding day is the state of your decorations, and when you use Riff, you never have to! If you are looking for a flower shop that understands the importance of your decorations and will work with you to get them exactly right, you're looking for Riff Flower Shop! We used them for our wedding very easy to use lots of suggestions everything turned out perfect thanks we refer you to everyone.